Officials have announced that the city of Paris has lost over $850 million in tourism revenue since the coordinated attacks by Daesh that left 130 people dead last November. Last Fall’s attacks were carried out by eight suicide bombers and gunmen who waged war on bars, restaurants and the Bataclan theatre where the band the Eagles of Death Metal were performing. France has continued to suffer at the hand of extremists including an attack in Nice which claimed the lives of 84 people. In July, another attack left a priest dead at a church in Saint-Etienne-du-Rouvray, Normandy. “It’s time to realise that the tourism sector is going through an industrial disaster. This is no longer the time for communication campaigns but to set up a relief plan,” Frederic Valletoux, the head of the Paris region tourist board said in a statement on Tuesday. 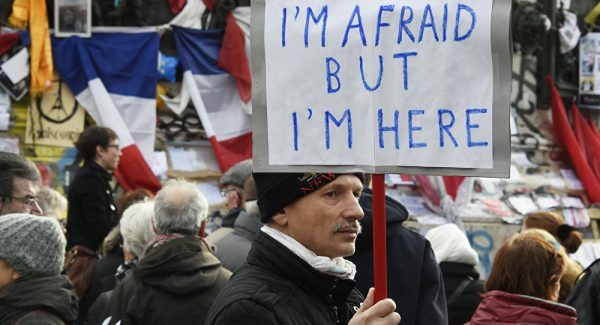 Valletoux also cited protests and floods as contributing factors, but the continuing attacks by extremists appear to be at the forefront of the slump. In the statement, Valletoux explained that the first half of the year saw the sharpest decline in visitors since 2010. Tourism from Japan, Russia and Italy saw the biggest drop, with their numbers falling by 46%, 35% and 28%, respectively. Visitors from America and China have also shown a decline. “Hotels are already laying off staff though they’re not saying it. This industry is on its knees and it needs relief measures now. Hoteliers need the weapons to fight back,” Georges Panayotis, head of hotel research firm MKG group, told Reuters. According to a report from the committee, attendance at the Grand Palais has fallen by over 40% and the Notre Dame cathedral, the Arc de Triomphe and Versailles all lost an average of 20% of their usual tourist numbers. “The Nice attack derailed our hopes of a recovery. It’s a dramatic situation and there will be job cuts in the sector if things do not get better by the end of the year,” Christian Navet, head of the UMIH-Paris-Ile-de-France hotel federation told Reuters. The tourism industry provides approximately 7% of the nation’s GDP, with roughly 500,000 working in the industry.